By Steven Elbow Nov 15, 2017 in CapTimes – Madison, WIS. 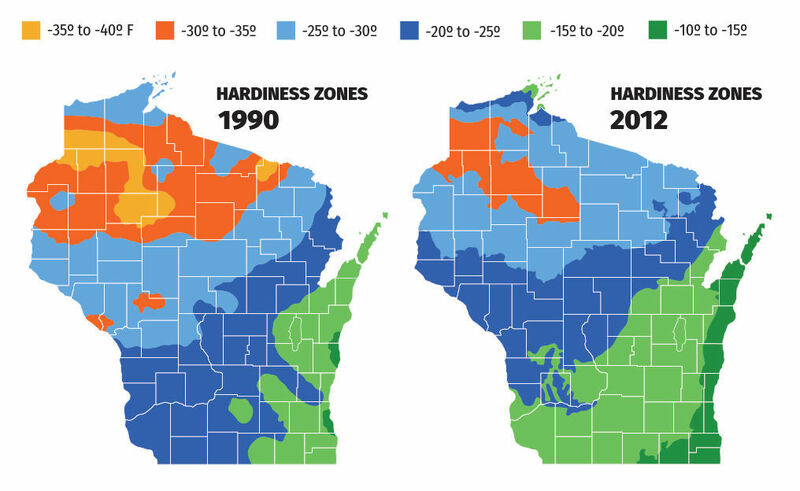 In 2012, the U.S. Department of Agriculture updated the Wisconsin plant hardiness zone map. Outside of a coterie of gardeners and growers who use the map to determine what plants will survive in a given climate, the change was not widely noticed. But the new map marked a sea change. It was a visible testament that the federal government had accepted what scientists have been saying for decades: The climate is, in fact, changing.